Practical and intelligent design, MOONSHINE III offers large functional spaces on a 68’ Raised Pilothouse. 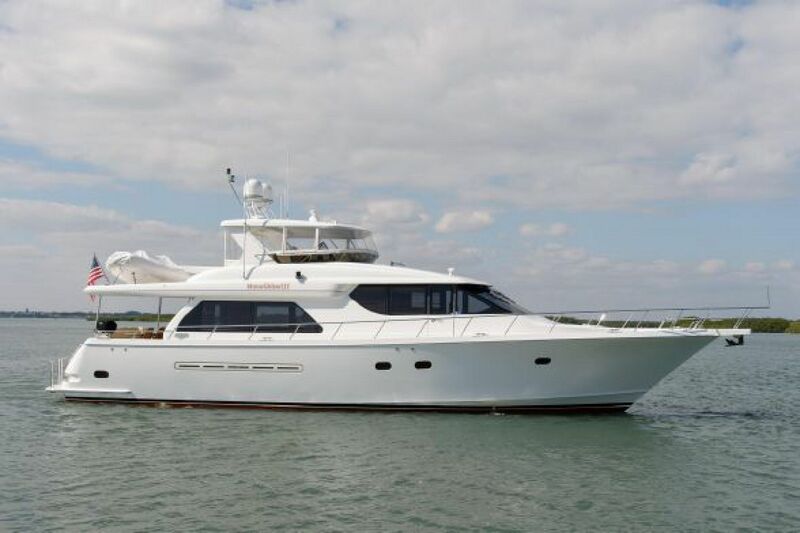 Walkaround side decks with hydraulic bow and stern thrusters, and an open aft deck with swim platform access makes this an easy boat to handle. The stabilizers, windlass, and davit are all hydraulic. A spacious, air-conditioned flybridge with hard top, speed, range, and quality joinery make this vessel ready for the next family adventure. Accommodations for six guests in three staterooms, each with ensuite head. Master is full beam. Room for two crew in a 4th cabin located at the stern.